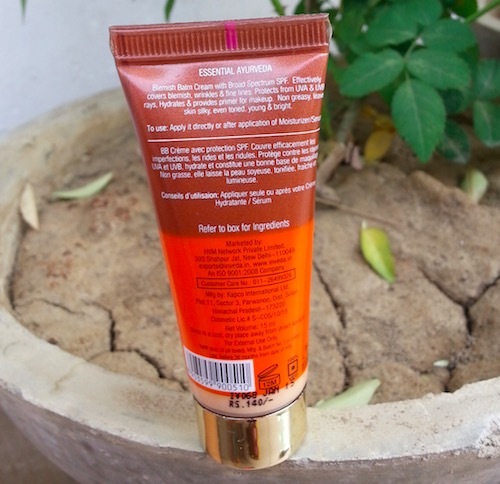 Hey everyone, today I’m going to review the Inveda BB Cream in shade Fair Colour. Inveda is a Indian beauty brand which offers skin care products made from natural ingredients. 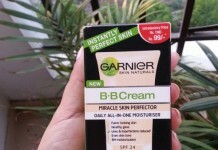 I received this BB cream in my March Fab Bag and quite liked it. You can buy Inveda skin care products online from their official website inveda.in. 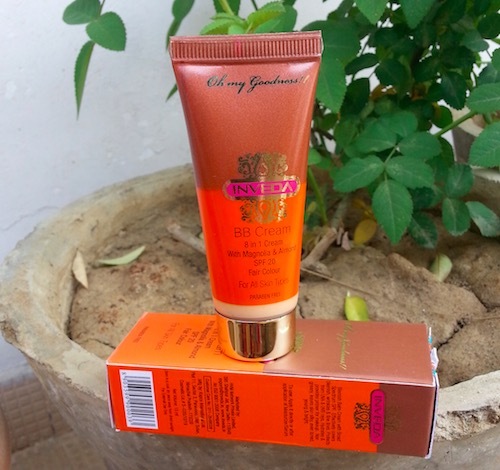 The BB cream comes in an attractive tube pack with a golden screw cap. The packaging is compact, travel friendly and very hygienic to use. 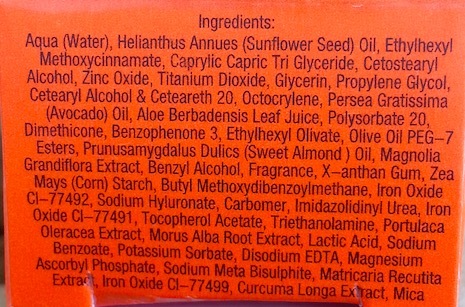 All the required product information (claims, usage, shelf life, ingredients, etc.) is also provided on the tube. 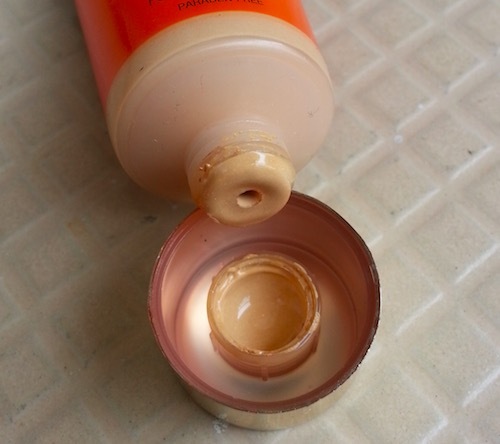 It has a little runny lotion kind of consistency and its creamy texture helps in smooth and fuss-free application. It has a mild floral fragrance which I really liked. 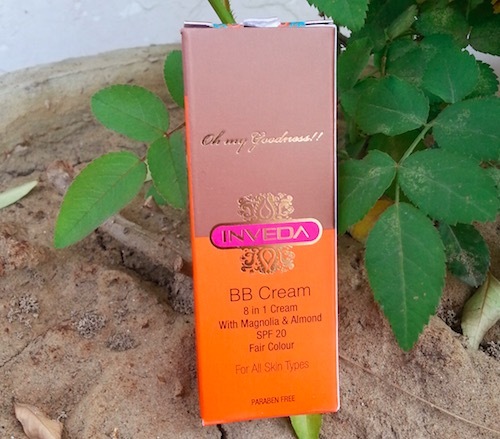 Inveda BB cream comes in two shades Fair Colour – fair skin tones and Matt Colour – for wheatish complexion. I got the shade Fair Colour which nearly matched my skin tone. After cleansing, toning & moisturizing my face, I generally take an adequate amount of BB cream, dab it all over my face & neck and blend it nicely using my fingers. It spreads easily and sets into semi-matte finish. 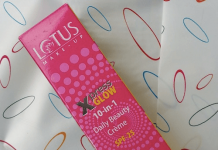 It gives a sheer coverage, hides minor imperfection and imparts a nice glow on my skin without feeling oily or greasy. I have a combination-oily skin with acne. It hydrates my skin pretty well and stays put on my skin for 3-4 hours (during the spring season). 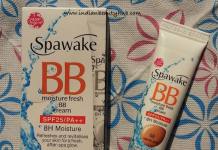 It comes with SPF 20 which makes it an apt product for day time. I don’t have much sun exposure, so I don’t mind the SPF rating. It is enriched with natural ingredients and is free from Parabens. Not very expensive and is easily available at online shopping stores like Jabong.com, Purplle.com. Quantity is very less (just 15ml). Very sheer, not effective in hiding spots or blemishes. Can accentuate dry areas, so make sure to exfoliate skin well before applying it. 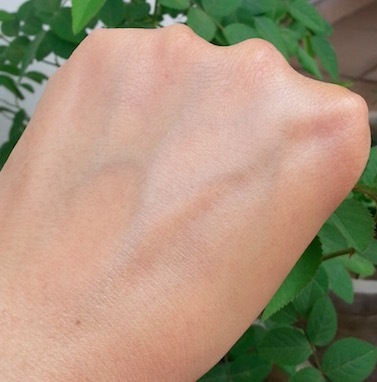 Dry skin people should use a moisturizer underneath it. Ladies with extremely oily skin can avoid it during the summers. 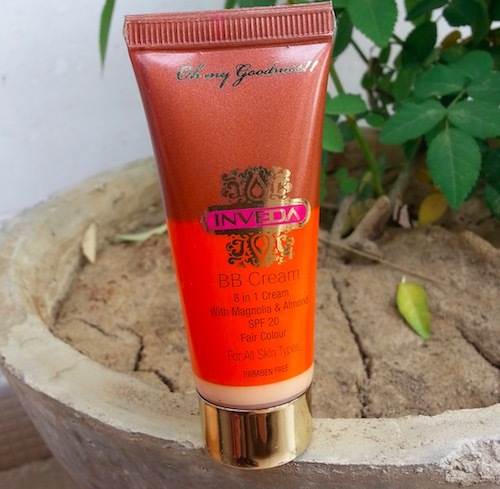 Overall Inveda BB cream is like a tinted lotion with SPF. It evens out minor imperfections and gives a natural looking skin with a mild glow. 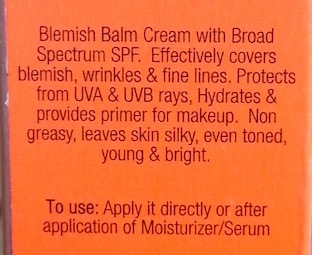 But personally I prefer Pond's BB cream or Lakme CC cream over it, as this one didn't give me desired coverage. 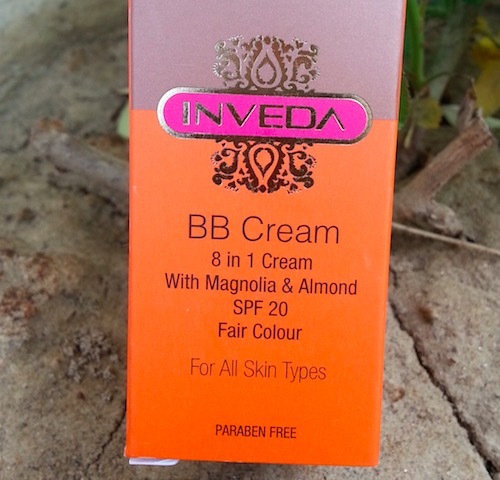 Still I recommend Inveda BB cream for those who have less skin dis-coloration and don't need much coverage as it is a herbal cream and is a quite affordable price herbal product. I have lot of uneven skin tone, this will not suit me! it’s better to skip this one. I don’t think so that it will suit me.